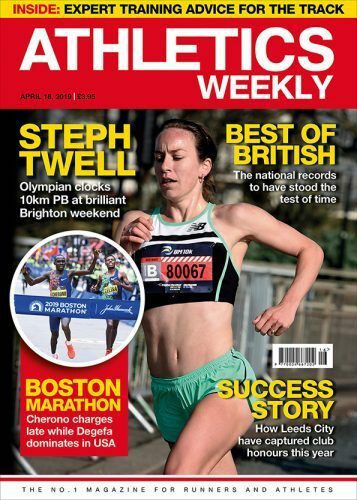 Another busy weekend featured the Shanghai Diamond League, Trail World Championships, Ipswich Twilight 5km and a world age 15 800m best by Max Burgin at the BMC Grand Prix in Manchester. Tom Merson from Exmouth Harriers AAC won in a time of 30:34 ahead of Phil Wylie from Cheltenham Harriers who crossed the line in 30:37. They were followed by Hercules Wimbledon AC’s Jonathan Cornish in third with a time of 31:01. 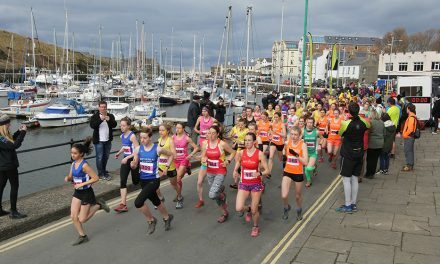 Ruth Barnes from Avon Valley Runners took first place in the women’s field in a time of 34:23, followed by Bristol and West AC’s Charlotte Taylor-Green in 35:00 and her club-mate Helen Newberry came third in 36:03. 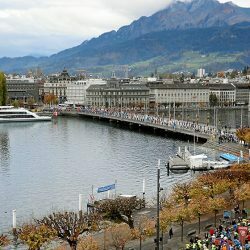 The 13,000 runners were set on their way by former sprinter Dom Parsons, who won skeleton bronze at the Winter Olympics. Sydney McLaughlin improved her own world under-20 record, clocking 52.75 to also break the the US collegiate record and move to joint ninth on the world all-time list. Her time is the 13th fastest ever recorded. The 18-year-old’s previous record was 53.60 run last month. Grant Holloway won the long jump with a windy 8.32m/2.9 leap as British decathlete Tim Duckworth registered a huge 8.19m/2.5 in third. Britain’s Matthew Hudson-Smith won the 400m in a European-leading mark of 44.70. Edward Amaning improved his 200m PB to 20.43. Jazmin Sawyers was second in the long jump with 6.43m. Chris Nilsen cleared 5.80m to win the pole vault. Andre Ewers scored a 10.13 and 19.98 sprint double though the latter was over the wind limit at 2.3m/s. Tori Franklin improved the US triple jump record to a world-leading 14.84m as world champion Yulimar Rojas suffered three fouls. World indoor medallist Brazilian Almir dos Santos won the men’s contest with a 17.53 jump. Multi world and Olympic champion Allyson Felix won the 100m in 11.30. 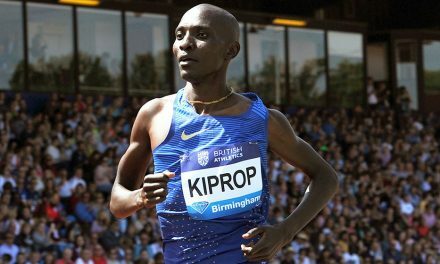 Kenya’s Edwin Koech won in a course record of 2:09:44. Former world champion Christina Schwanitz returned after a maternity break with a European leading 19.39m in the women’s shot put. Brett Morse won the discus with a 59.37m throw. 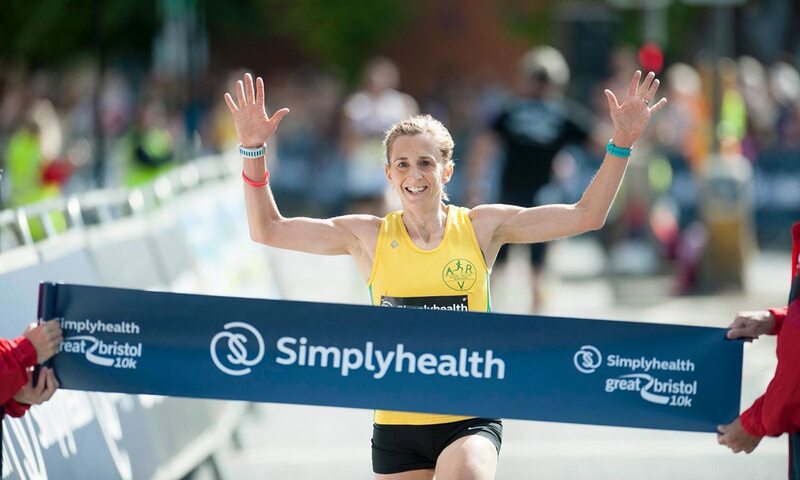 The week after being first masters athlete in the England v Celtic nations match in the Simplyhealth Great Birmingham 10km, Kirsty Longley won the senior 3000m in 9:56.22. Wendy Laing, who set a world W55 record at the European masters indoor championships in March, won the shot and was second in the high jump and long jump. Kyle Ennis followed up his British League win at Yeovil with another 200m victory in 21.4. Commonwealth 100m hurdles finalist Alicia Barratt won her speciality in 13.80 and the 200m in a PB 24.58. The day after his sensational 1:47.50 age-15 800m record, Max Burgin won the under-17 1500m in 4:02.52. Scott Huggins won the pole vault with a 5.10m leap and Gloria Hopkins won the women’s 400m in 54.12. At 54, Clare Elms became one of the oldest ever senior track winners with a 5000m victory in 18:04.46. Chloe Sharp won a under-20 800m and 1500m double in 2:15.20 and 4:31.70. Morgan Squibb won a under-17 800m (2:15.14) and 1500m steeplechase (5:06.03) double though was beaten by Alexandra Millard’s 4:38.18 1500m. Lily Murray set an under-15 girls hammer championships record of 49.48m. Mohammed Abu-Rezeq won the men’s race in 68:06. Faye Banks was first woman in 82:05. Noah Curton was a clear men’s winner in 32:06 as Charlie Arnell was first woman in 36:06. 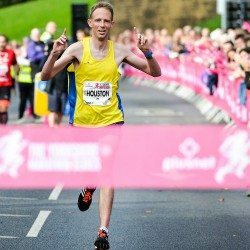 The Siglion Sunderland City 10K was won by Andy Powell of Sunderland Harriers in 33:03. Second was Liam Taylor in 33:28 and John Clifford of Evenwood Road Runners was third in 33:31. The women’s race was won by Alex Sneddon of Jarrow & Hebburn in 36:54, with Danielle Smythe (Heaton Harriers) in second in 37:57 and Stephanie Maclean Dann (North Shields Poly) in third in 39:29. Abraham Tewelde of Saltwell Harriers retained his title in the Siglion Sunderland City Half Marathon in 70:13, with Conrad Franks of Gateshead Harriers second in 71:34 and Darren Purvis of Birtley AC third in 73:42. Eleanor Hunt won the women’s race in 83:28, with Isabel Steele second in 83:49 and Alice Smith of Sunderland Harriers third in 85:52. 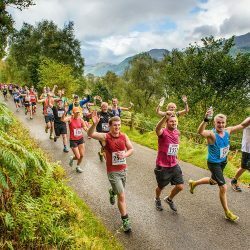 At this inaugural event, Neil Boniface of Crawley AC won the half-marathon 10 seconds ahead of Adam Holland of Notfast RC, with 69:01 the winning time. 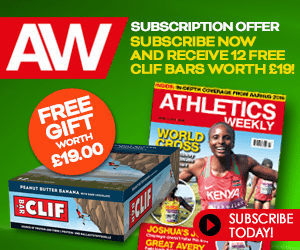 The women’s race was decided by a sprint finish, which saw Hayley Manning of Clapham Chasers beat Amelia Brown of Crawley Saints & Sinners RC by less than one second, crossing the finish line in 87:37. Adrian Haines of Crawley AC won the 5km in a time of 17:27, and the women’s 5km title was claimed by Cheryl Evans in a time of 20:25. Young runner Amelia Cox (U13), also of Crawley AC, was the runner up in 20:27. More than 100 runners descended on Lee Valley Athletics Centre in Enfield for the inaugural London 5K Fest. 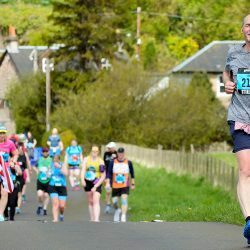 Aimed at runners of all abilities, the event featured a three-race 5km programme and allowed entrants to compete to the beat of a live DJ who spurred them around the track with a motivational playlist. The first race of the night was won by Freddie Upton with a time of 18:41. In race ‘B’ Emily Moyes from West Suffolk Athletics Club beat Jason Dodd from Trent Park with a time of 16:52. Highgate Harriers’ Alex Crossland came first in race ‘A’ with the fastest time of the event (15:29). 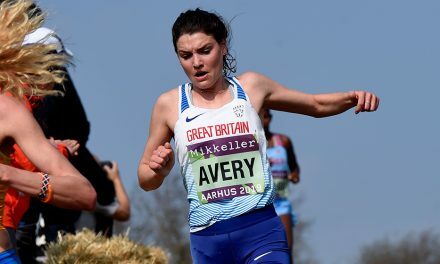 Kate Avery recorded the fastest time by a woman on the night, completing the 5km ‘A’ race in 16:00. On the same evening, the British Milers Club launched the new Bannister Mile Series in memory of Sir Roger Bannister. 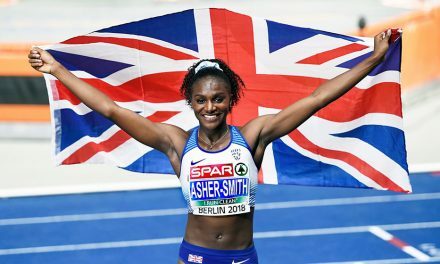 The 2018 series featured men’s and women’s ‘City Mile’ races just three days after the anniversary of Bannister running the world’s first sub-four-minute mile.